Building in Judea-Samaria just over 1/4 of what it was under Ehud Barak, and half of figures under Ariel Sharon. 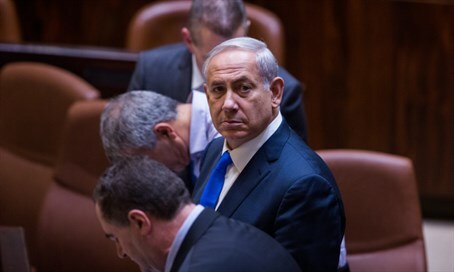 Prime Minister Binyamin Netanyahu's governments have built the least in Judea and Samaria, despite being widely portrayed as a right-wing coalition. The Yesha Council released a damning set of statistics Tuesday, in concordance with the Caucus for the Land of Israel, revealing the true pace of building in the region over more than 15 years. Public buildings depend on government policy, not supply/demand. A lack of consistent statistics appears to result from the ebb and flow of various governments, it noted, and policies can vary widely - ranging from just 91 public housing units built in the region per year to over 3,000. The average per year ranges between 440 and 1,600, a figure which fluctuates based on politics. Private residences do depend on supply/demand. Meanwhile, the population of Judea-Samaria has steadily been growing. While the number of units built every year still varies, the variance is much smaller: between 560 apartments in one year and close to 1,900 in another. Overall, the average stands between 800 - 1,600 units built per year - no matter which government is in session. ​Some 1,700 units were built every year during Netanyahu's first term, in 1997-1999. Under Netanyahu's last three terms (2009-2014), that number dropped to 440 units per year. Population growth is steady, and could outpace construction. The Jewish population of Judea, Samaria, and Jerusalem continues to grow at 4.9% per year, and has topped 400,000 as of November 2015. Of those, Judea-Samaria has gained 150,000 people over the past decade alone - an average of 15,000 per year. Population growth in the region is now due to natural growth - i.e. reproductive power - not immigration, as it used to be. Past decades saw a tremendous movement to bring new immigrants to the area, leading to such phenomena as an overwhelmingly Russian population in Ariel, for example. However, as of 2006, 60% of growth in Judea-Samaria was due to an increase in births, whereas just 40% was due to immigration; in 2014, those numbers were 75% and 25%, respectively.